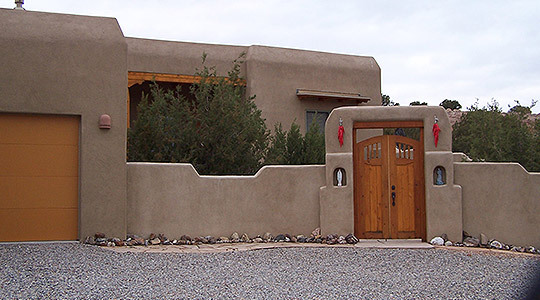 Whatever the style you choose, you can count on Jim Madueña, designer/builder, to build your home with the principles of green building, sustainability and accessibility with exceptional attention to the details that matter. Jim Madueña’s job is to listen to you, ask questions and build the unique style that you decide upon and is right for you. 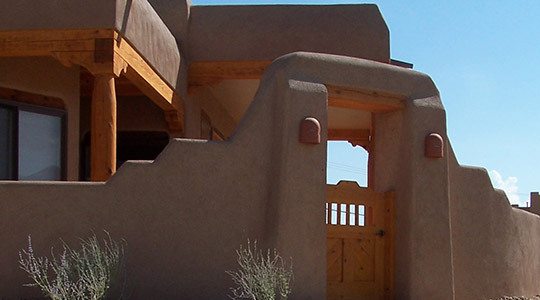 Whether classic Southwestern adobe, contemporary, or the most modern of designs, you can count on J.G. Madueña Homes to build your home with the principles of green building, sustainability and accessibility with exceptional attention to detail. Universal design and Aging in Place concepts for design are a standard consideration Jim will address in your design. In short, whatever you and Jim can dream up. It is a challenge Jim truly enjoys. Green-building principles and standards have always been integral to J.G Madueña Homes’ design and construction. Owner, Jim Madueña, is a “Certified Green Professional” through the National Association of Home Builders (NAHB) and a graduate of the training program on sustainable building practices at ProEarth University which establishes him as a regional expert. Jim puts all this knowledge into building a superior home for you. Also, Jim knows that our future generations will benefit from the sustainability and energy conservation of the advanced and Green building methods. J.G Madueña's expertise and commitment to quality will give you the confidence and peace of mind you want and expect through the entire design and build process. You’ll be impressed with the extensive list of construction method details and design features that will be included as standard in your home. J.G Madueña Homes has no interest in cutting corners. You can rely on Jim to build ‘the best’ quality for a sustainable and healthy home that will stand the test of time. Jim builds beautiful homes and lasting relationships, and that’s exactly what he will do for you. Your home should meet your needs today, and for the rest of your life. Universal design and Aging in Place considerations are standard. That means Jim will design and build it right, the first time with features that matter to you, today, and for the years to come. JG Madueña Homes has been designing/building award winning homes of distinction since 1996. Constantly perfecting his craft and updating techniques and materials with the best Green Building has to offer. 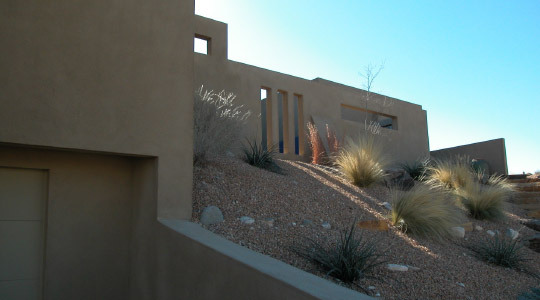 Jim specializes in creating homes that are sensitive to the client’s needs and desires and our environment. Always taking the hands on approach to every design and construction detail. Collaborating with clients and architects to build beautiful, functional, high performance homes for today and tomorrow. Owner, Jim Madueña, is a “Certified Green Professional” through the National Association of Home Builders (NAHB). His expertise and commitment to quality will give you the confidence and peace of mind you want and expect through the entire design and build process. © 2017 JG Madueña Homes All Rights Reserved.